The Color Image Unit is a type of genlock and its primary purpose is for overlaying graphics on live/taped video. 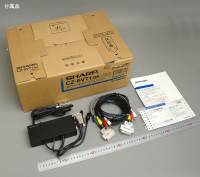 It can process the signal of television, video, video camera, etc, as the still picture data of maximum 65536 colors. It makes the adjustment of input signal color tone, tint and contrast simple.